Hanahan is one of the smallest suburbs of Charleston, so you won’t find as many homes for sale - or as many options for shopping and restaurants. However, neighboring North Charleston is only a 5-10 minute drive and offers a mall, an outlet shopping center, and a wide selection of large chain restaurants and stores. Also, downtown Charleston is about a 25 minute drive, and the nearest beaches are about 40 minutes away. Hanahan is known more for its new construction homes and neighborhoods than its older, established communities. However, Otranto is very popular among buyers wanting the traditional look, mature landscaping, and larger lot sizes that come with older neighborhoods. Although many of these homes need cosmetic updating, you'll find a good selection of classic brick homes dating from the 1960's, 70's, and 80's. 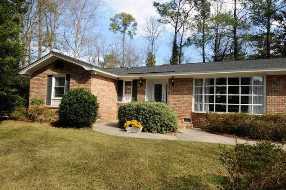 Otranto's location also offers easy access to Rivers Avenue and North Charleston. 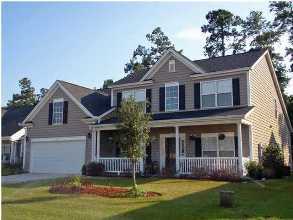 Tanner Plantation (pictured below) is by far the most sought after neighborhood in Hanahan. With homes starting in the mid $100’s, Tanner Plantation has some of the most affordable newer construction homes in the area. Floor plans range from single story starter homes to 4 and 5 bedroom homes with more than 2500 square feet. 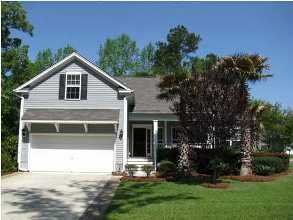 You'll find a huge selection of homes for sale year-round since this is one of the largest neighborhoods in Hanahan. In addition to its affordability, the community swimming pool and club house are also big selling points for Tanner Plantation. The Reserve (below) typically offers only a handful of homes for sale at any given time, but this is a great neighborhood for buyers wanting newer homes in the mid price ranges for Hanahan. 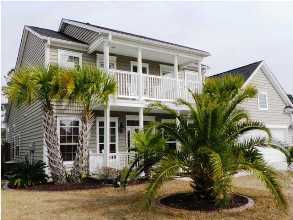 Overall, you’ll find slightly larger lot sizes and more upgrades compared to Tanner Plantation. However, most of these homes were built in 2005 and 2006, so they are pre-owned rather than pre-construction. 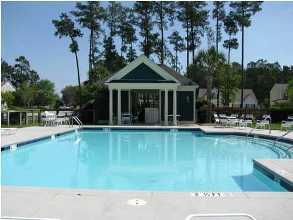 The Reserve is located off Foster Creek Road and has a community pool, playground, and dock.